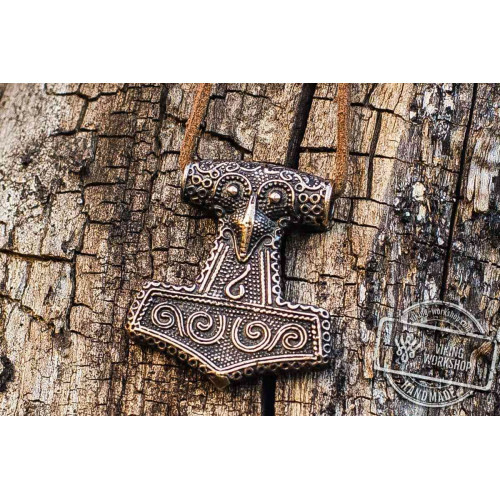 Powerful protective amulet of Viking warriors is a Thor's Hammer with a Viking image. Thor's hammer was widely used across Viking culture. The symbols were applied on weapon, armory, tools and household utensils to get the protection of the most powerful deity as well as to get shielded from the ruining powers of thunder and lightning which could destroy the achievements of life of peaceful people. Thunder and light were also begged to assist Viking warriors in wars and battles. 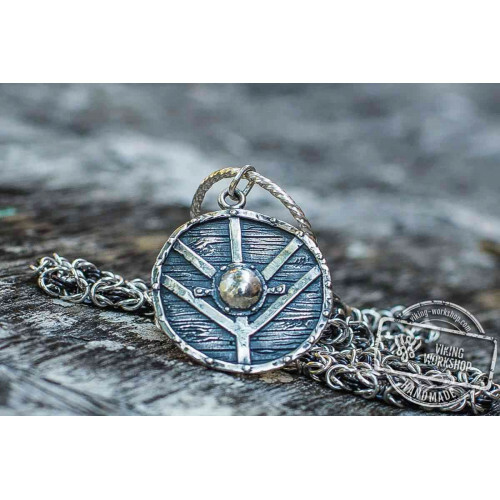 This little pendant provides its owner the power of deities and the strength and braveness of vikings. 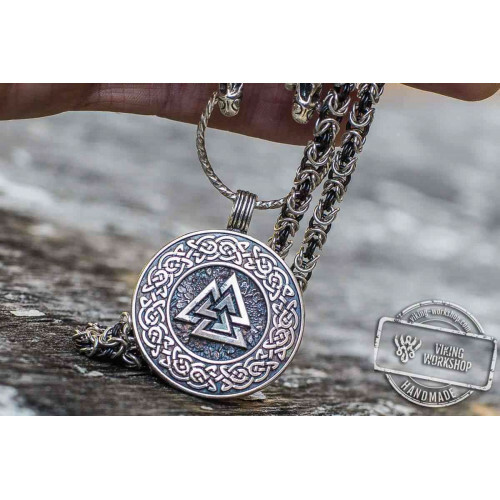 The pendant is made by order. It is a handmade item which is available in bronze, silver and gold. The price will vary according to the chosen metal. The item is supplied with a durable cord (the cord can be different from the photo).